So the weather’s warmed up enough for dinner on the patio. You’ve pulled out the grill and picked up some early season strawberries. Guests are on their way for a cookout, and you want to wow them all with freshly churned ice cream. You’re not quite ready to shell out a few hundred bucks on a self-refrigerating model, but oh could you go for some homemade strawberries and cream. 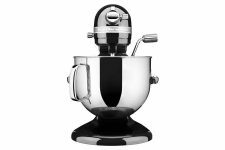 If your kitchen is equipped with a KitchenAid stand mixer, then the 2-Quart Ice Cream Attachment just might be the way to go. Available affordably in comparison to many freestanding ice cream makers, this device is the ideal machine to test out your frozen dessert skills. 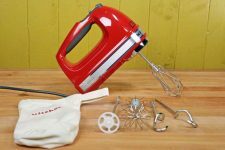 Though we already touched on this piece in our roundup of KitchenAid stand mixer attachments, we deemed it worthy of its own more thorough review. 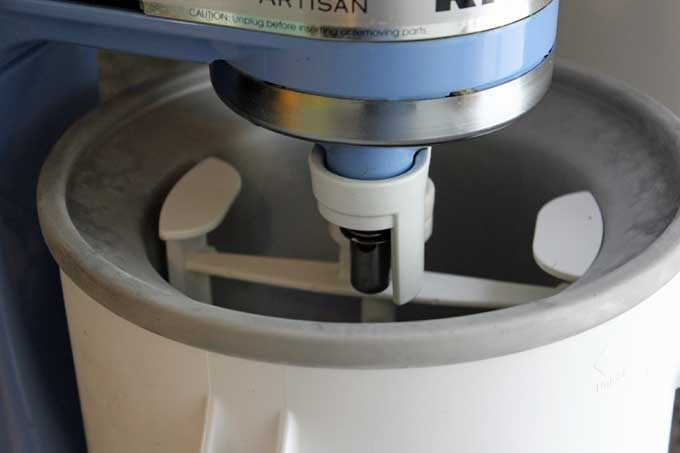 Read on to learn all the ins and outs of this piece, and why we recommend that you purchase one to fulfill your own ice cream making needs this summer. A few years ago, while working as the pastry chef for a small suburban restaurant, I spent months trying to convince the owner to invest in a high-volume machine. In the meantime, however, I spun a new flavor in this bowl every single day. Even after hundreds of uses, she never once let me down. If you don’t yet own a KitchenAid mixer, the ice cream attachment just might convince you of the need to invest. Or, you can look at our other ice cream maker reviews to find the best machine to fit your needs. 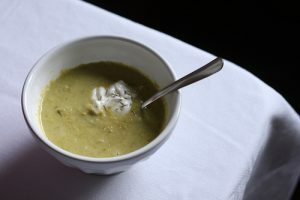 The bowl must be frozen at least 12 hours in advance, but if space allows, storing it in the freezer means you can churn a fresh batch whenever the mood strikes. Simply snap the bowl into your mixer, insert the dasher (a fancy word for the paddle) and clip in the drive assembly. Slowly add your chilled ice cream or sorbet base (like this one, for a sweet cucumber-elderflower combo) while the motor churns, and in 20 to 30 minutes, dessert will be ready. If patience is an issue for you (like it is for me), just set a timer while you go off to dream of the array of toppings that might enhance your frozen snack. Eat immediately after churning for a soft-serve experience, or return to the freezer for an hour if you’re after a more solid, scoopable texture. Whether you’re an eat-from-the-carton kind of a person or a careful portion controller, our guide to the best scoops will help you dish up with ease! *With just two exceptions – If you own the KSM6573C or the KSM7 model, you will need the KAICA attachment, available on Amazon. The freezer bowl model works by incorporating air into the ice cream base, while the chilled bowl slowly brings the temperature down. The constant churning prevents large ice crystals from destroying the smooth creaminess. Whether making sorbet, sherbet, ice cream, or frozen yogurt, this method consistently provides the ideal texture. There are many upsides to this type of model. Most importantly, it is a low-cost method with consistent results. 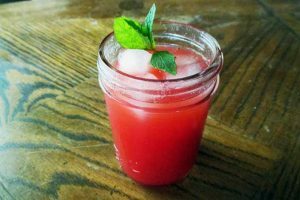 While hand churning with rock salt offers years of memories, it is not ideal for regular use – unless of course you hope to incorporate a workout into your cooking routine. 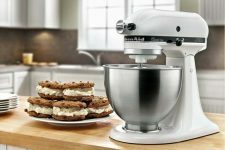 Without the need to invest money or space in a full machine, the KitchenAid attachment is great for those just dipping their toes into handcrafted frozen treat making. 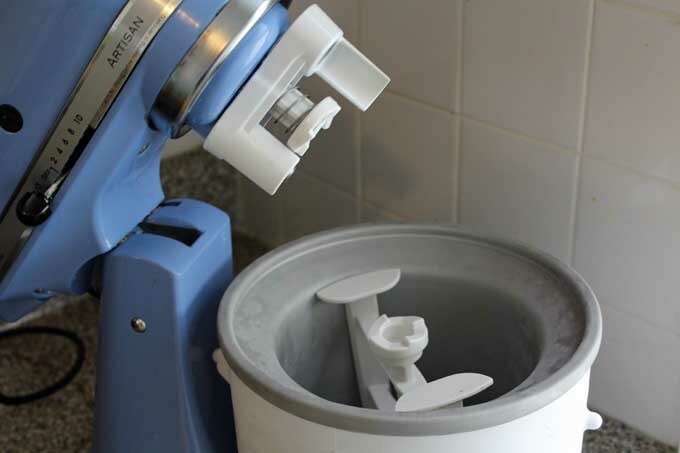 At 11×10.3×10.3” and 6 pounds, the freezer bowl takes up just a bit more space than the machine’s regular mixing bowl. Churning 2 quarts of finished product using roughly 1 quart of batter, this machine can provide up to 8 servings of dessert per use. 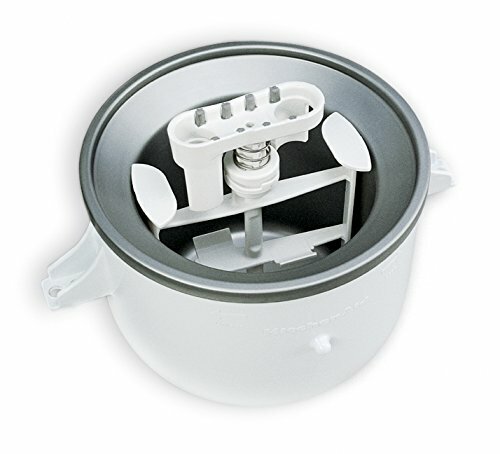 In addition to the freezer bowl, dasher, and drive assembly, the attachment comes with a recipe booklet, a user care guide, and a one-year warranty. 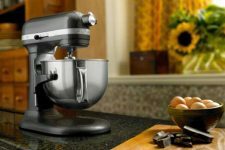 While the attachment works on most stand mixer models, be sure to double check that you do not own one of the two exceptions – the KSM6573C or the KSM7 models. And if you do… maybe it’s time for a second mixer? Because the bowl is insulated with a freezing gel, it needs to be washed by hand with warm, soapy water. Be careful not to submerge under water or run through the dishwasher as this might cause the insulation to leak. While the dasher and attachment are not quite as delicate, they too should be washed by hand. Fortunately, that’s a quick and simple task. 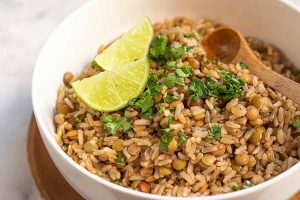 Ensure that the bowl has dried thoroughly before returning it to the freezer. After years of use, I have never once had an issue with this handy piece of equipment. While most Amazon shoppers share similar success stories, a fair number report a few drawbacks as well. Reviewers consistently claim that the speed and ease of use make this product their top choice. 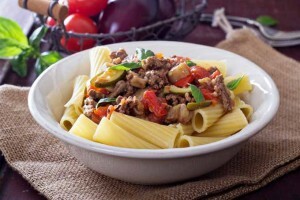 Without the need to drag out an extra piece of machinery, it is simple to churn a quick, low mess after-dinner snack. 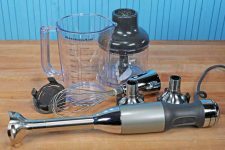 Because the attachment fits so many different models of stand mixers, you can upgrade your machine or share the attachment with a friend without issue. 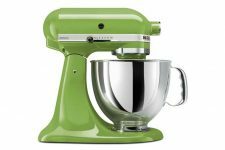 While you might not have intentions to buy a larger mixer anytime soon, you never know when this ease of adaptability might come in handy! The complementary recipe booklet draws rave reviews. From minty mango sherbet to creamy lemon gelato, caramel pecan ice cream and fresh raspberry sorbet, myriad options will start you on the path to professional grade success. 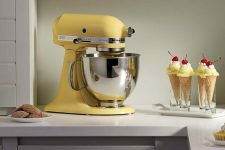 KitchenAid’s stellar customer service quickly addresses any questions or concerns, should trouble arise in ice cream paradise. Because the bowl must be frozen a minimum of 12 hours before use, the machine is limited to making one batch of ice cream per day. When wowing a crowd, 2 quarts might not suffice. This can be remedied with a bit of planning; if you store your ice cream in a separate container, you can stock up a few days ahead. 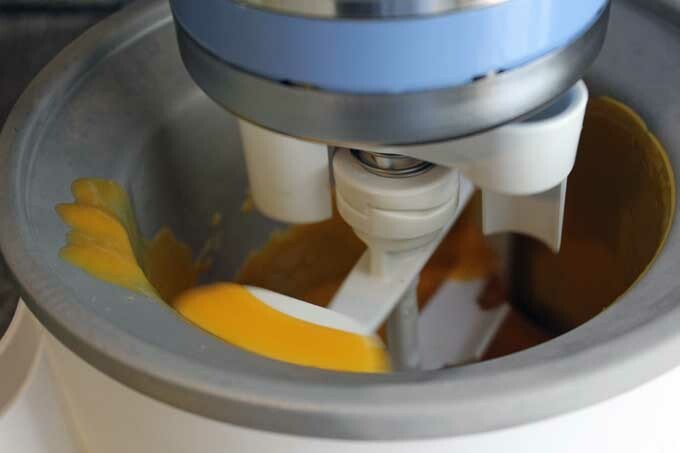 In order to keep the frozen dessert base from immediately freezing to the sides of the bowl, the user must pour it in slowly while the machine runs. This can sometimes be a bit awkward and result in unwanted mess if pouring from a large mixing bowl. Transferring the mix to a spouted measuring cup can allow for more control, eliminating this issue. The dasher does not quite scrape all of the ice cream down from the sides of the bowl, resulting in a wall of rock-hard cream. 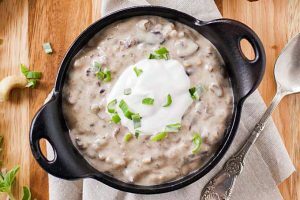 Once the sides begin to thaw, however, this can be scraped down with a spatula and mixed into the rest. Some shoppers stated that after extended use, the blue freezer gel started to leak out of the bowl. An obvious health hazard, this appears to be the greatest potential downside to the KitchenAid attachment. Because frozen plastic is delicate, it is important to take care when handling the frozen bowl. With careful handling – hand washing, no submerging or dropping – most reviewers state that the attachment has lasted them for years. 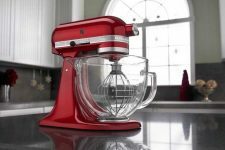 Thankfully, should an accident happen, KitchenAid offers Live Chat support 5 days a week and responds quickly to inquiries outside of the designated support time. Under the product warranty, the bowl can be quickly replaced. 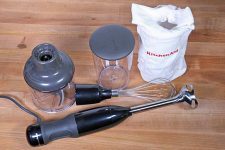 Many Amazon reviewers report that KitchenAid even replaced their bowl long after the warranty had expired. To ensure your ice cream freezes correctly without warming the bowl, make sure your frozen dessert mixture has been chilled fully. One way to do this quickly is to use an ice bath: Pour your sorbet, ice cream, or yogurt base into a storage container nested in a larger bowl of ice. Stir every ten minutes to cool down evenly, and you will have a nicely chilled base in just an hour or two. When making a custard ice cream base, be careful to watch the temperature every step of the way. Slowly temper the hot cream into your eggs – adding the cream too quickly will scramble the eggs, curdling your final base. Once you have whisked all of the cream into the eggs, cook the custard over a double boiler to better control the temperature. Nest a metal or glass bowl over a pot of simmering water. If using a gas range, make sure the flames don’t lick up the sides of the pot and burn the edges of your bowl. Stir the custard regularly with a rubber spatula until it hits 170°F. Use a good recipe! 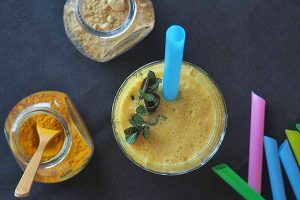 The ease with which you can find recipes that employ alternatives to dairy and sugar can make it tempting to trust all online resources. However, too much alcohol or the wrong amount of sugar can actually keep you from ever reaching your frozen dreams. If dietary restrictions or mere curiosity lead you to experiment in the kitchen, reading up on the science of custard making can increase your likelihood of success. Check out our useful guides on ice cream and sorbet. 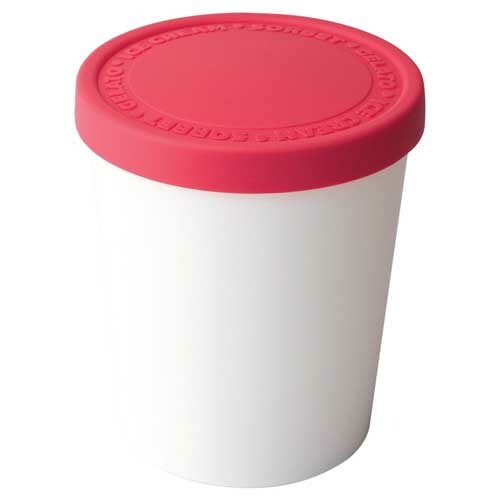 Invest in storage containers to extend the life of your freshly churned treats. My favorite are the tubs by Tovolo as pictured above. They are available in a multitude of colors and styles. Be gentle! An accidental drop, a rough toss in the sink, or a trip through the dishwasher could result in cracked plastic and leaking freezer gel. Treat your attachment with care to ensure that it won’t ever let you down. This is a great piece of equipment for those testing out their ice cream making skills. While the pre-frozen bowl limits the volume the machine can produce, the low price makes it ideal for either a daily dose of sugar, or just an occasional treat. As long as you care for it well, the bowl will faithfully fulfill all your ice cream needs. 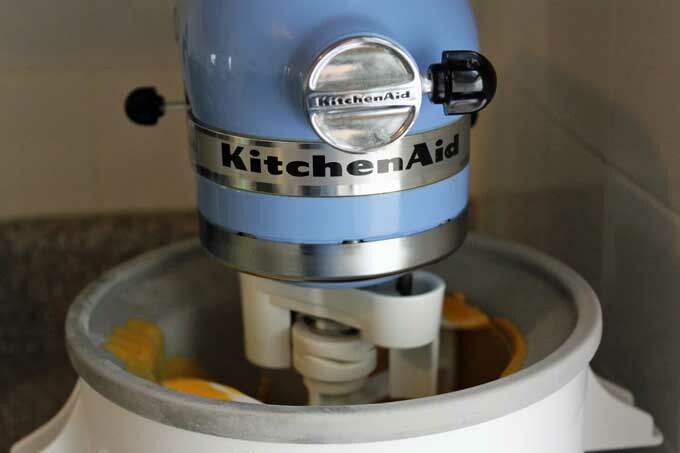 If you long to feast on homemade ice cream without forking over a full paycheck or fumbling through an intense arm workout, the KitchenAid 2-Quart Ice Cream Attachment is a great way to go. 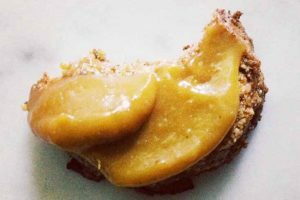 You can feed your daily need for something sweet without breaking the bank. So long as you’re gentle with your equipment, it will last you for years to come. When you’re ready to take the chilly plunge into frozen dessert heaven, head over to Amazon and grab this fine accessory that will beat the heat this summer and make all of your get-togethers something special. Tell us all about your ice cream and sorbet making experiences in the comments! Photos by Kendall Vanderslice, © Ask the Experts, LLC. ALL RIGHTS RESERVED. See our TOS for more details. Other Photos Credits: Kitchen Aid and Tovolo (isolated product photos). Thanks for the tips and advice on using this. 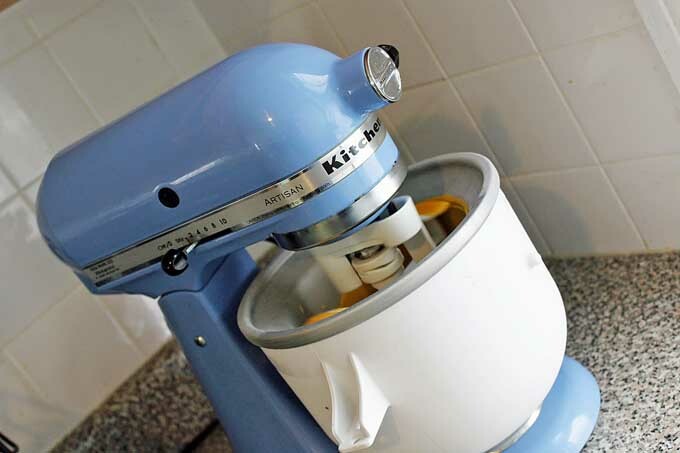 I love my KitchenAid and I’ve been eyeing the ice cream attachment as the weather gets warmer. This looks so easy, and I’d love to just have an attachment over a whole new machine since I have limited kitchen storage. This looks great, I now need to brush up on non dairy frozen options. Though I think with a bit of imagination I could make some tasty sorbets and some other almond or coconut milk concoctions. The more I think about the more interesting an option this becomes. Nice article. I’m writing this a little after 8 a.m. and I seriously want ice cream for breakfast right now! Anyways, this was very informative, the only drawback for me would be the leaking of the freezer gel after extended usage. Hi atlmom5,I agree that the leaking freezer gel sounds concerning. I have used the attachment regularly for 4 years now and have not had any issue, neither has anyone else I know personally. I think that as long as you are careful with it, there is really no need to worry! I knew there was a reason I love this appliance so much! 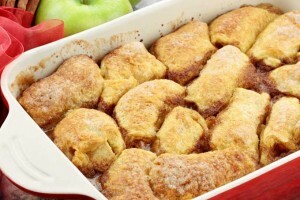 There are so many things you can do with it, provided you have the right attachments, and now thanks to this post I know that I can even make my favorite dessert with it! I will surely buy this great accessory and I’ll make sure to follow your great tips, thank you! I’ve been wanting to make my own ice cream for a while now and I think this is the perfect solution to my ice cream maker dilemma. I’m getting a KitchenAid mixer for my birthday in June and have already found so many wonderful ideas such as this to use. There is never an article here that fails to inspire me. Thank you! Excellent article! As someone who’s been meaning to make my own sugar-free ice cream, finding out about this attachment is a heck of a blessing. It’s a really good thing that it costs less than your standard ice cream makers, but I’m really hoping that the quality doesn’t suffer because of that. 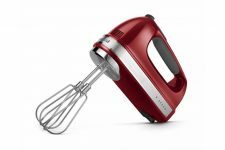 I’ve been using this model in professional and home kitchens for several years now, and I’ve never had any issues with the quality of dessert! Of course, it is just as important to start with a good recipe. Try checking out our sorbet and ice cream pieces to help you in making your sugar-free options. 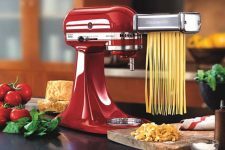 But don’t be concerned that this machine will affect the quality — it churns to a wonderful texture just like the other, more expensive options. Nice review. I’d add that if anyone’s getting poor results with this attachment, they should check their freezer temperature. I’ve tried many freezer settings and get consistently great results with the freezer set to -5°F / -20.5°C. At this temperature, I can typically freeze ice cream to an ideal draw temperature of 23°F / -5°C in around 15 minutes, which is fantastic for a home machine. This gives a very smooth texture. Much colder than this and the mix freezes solid against the sides and stalls the dasher. Much warmer and spinning the ice cream can take over a half hour and texture will be crappy. My only complaint is that the dasher itself is poorly designed. It should actually scrape the sides of the bowl clean. I’m waiting for someone smart with a 3D printer to design and share a better one. 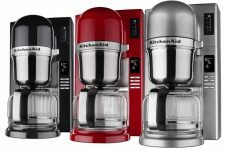 what colour is the kitchenaid? This is the KitchenAid Artisan 5-Quart in Cornflower Blue.